​When you speak of vinyl, you may think about vinyl records or a record player. We aren’t here to talk about music; we are here to talk about something you may be surprised to hear that is made from vinyl, our line of vinyl replacement windows! Choosing vinyl as your preferred choice of new windows will remind you of the story of that little girl who found herself walking into a home that belonged to three bears sampling their food and their beds. You say that a wood window installation isn’t durable enough and that a fiberglass window installation is too expensive, but picking out your favorite vinyl window installation feels just right for you! 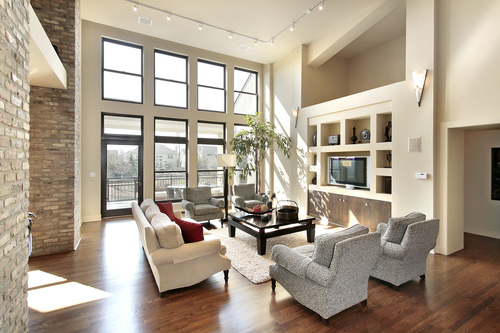 While picking the construction materials out for your home’s construction, the new windows can have a lot of wiggle room as far as re-working your budget in the likely scenario that not everything goes exactly as originally planned. Vinyl may be the perfect, more cost effective option for you in your new home, if you don’t want to spend a fortune on your new windows. You still want the durability to make sure they last a good long time, and not have to worry about losing a lot of hot air or cool air in your house due to a poor service in window replacement. Even though it isn’t an option to paint your vinyl window installation yourself, it is available with us in a wide array of different colors, finishes, and everything else in between to fit in perfectly with your home. The best part about choosing vinyl for your new windows is that the vinyl offers a fairly fantastic amount of UV protection so when you do pick your favorite color it is more resistant to it fading with exposure to light twelve hours out of every day. An interesting thing about vinyl windows is that naturally they have some hollow space inside of them where there is a cavity. This is great because it gives us an opportunity with our window installation to fill that empty space with insulation foam to further insulate your window. In turn, this will save you more money down the road with the cost to either air condition, or heat your home. We know that saving money is important to you, therefore, it’s important to us! Be sure to let our window installation professionals know how you’d like your window installed, and we’ll make it happen for you. The cheaper window replacement can sometimes be the best choice in window replacement, and here at our window company, we make sure that you are happy with whatever decision you end up making on the new windows in your home. If a vinyl window installation sounds right for you, then call the best window company in town to go through our selection of vinyl windows today!